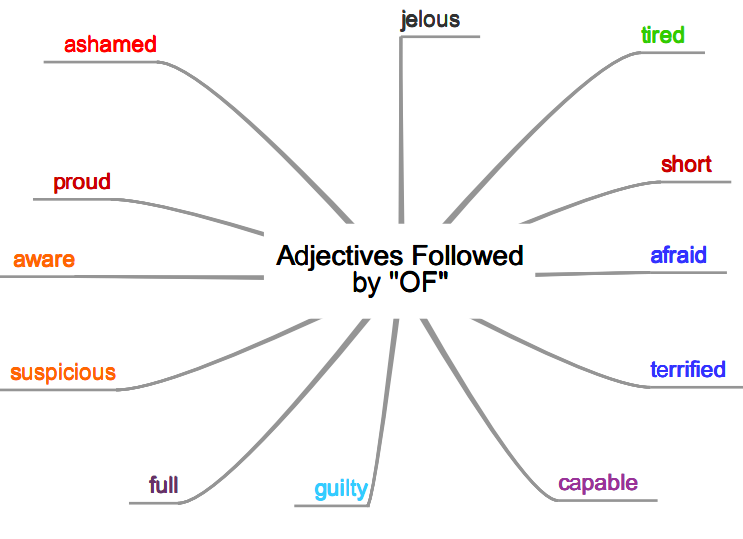 In this lesson we are going to focus on those adjectives followed by the preposition "of". There are a lot of them, but these are among the most commonly used ones. Quiz: Fill in the blanks with the corresponding adjective. Shania is afraid of spiders.